Ian Khama’s Chairmanship of SADC: What should we expect? On the 17th of August 2015 Botswana’s President, Lt. Gen. Seretse Khama Ian Khama, assumed the rotational chairmanship of the Southern African Development Community (SADC) for a year. President Khama is the son of Botswana’s founding President Sir Seretse Khama, a former Commander of the Botswana Defence Force and a chief of one of the major tribes in Botswana, who is in his second and last term of office, having assumed power in 2008. Botswana was instrumental in the formation of SADC, President Sir Seretse Khama was one of the founding fathers of its precursor, the Frontline States, and the Southern African Development Coordination Conference (SADCC). This critical role is evident in the choice of Botswana’s capital Gaborone as the secretariat for the regional body. President Sir Ketumile Masire of Botswana was also the chairman of the SADCC Summit of Heads of State and Government from 1980 – 1996, the last time Botswana occupied that position. All of Botswana’s previous leaders (Sir Seretse Khama – 1966-1980, Sir Ketumile Masire – 1980-1998, Dr Festus Mogae – 1998 – 2008) have maintained a policy of silent diplomacy on regional matters, privileging closed door bilateral engagements where there were policy divergences. 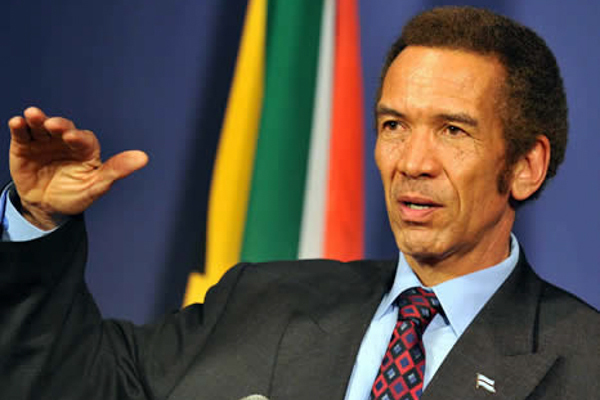 Ian Khama’s ascendance to the presidency was, however, accompanied by a departure from this trend. His foreign policy posture has been characterized by “roof top diplomacy” or “mega phone diplomacy” where he sings from a different hymn book, diverging from the regional consensus. This has been received with mixed feelings, and some accusing him of playing to the gallery of the west. Khama’s attendance of SADC Heads of State summits has also been selective and sporadic, reflecting his disdain for multilateral fora which he views as mere “talking shops” that waste resources. Botswana has, over the years, earned the reputation of being a norm entrepreneur whose national values are democracy, peaceful co-existence and social harmony. Although keen to project this ethical foreign policy posture, under Khama the country is accused of having double standards. For instance, while publicly denouncing democratic deficits in Zimbabwe and Madagascar, Khama has been conspicuous in his silence about a similar situation in Swaziland where he attended his high school. He has been equally silent about the disbanding of the SADC Tribunal which provided recourse for citizens who suffered gross human rights injustices in SADC member states. Botswana’s current national interests are premised on its drive to diversify its economy away from diamonds as well as poverty eradication aimed at addressing the widespread inequality in the country. This is what has formed the basis of Khama’s domestic policy where he has exhibited qualities of a decisive, action oriented and pragmatic leader. The latter qualities have earned him enemies who accuse him of being insensitive and whimsical in his decision making. It is in the domestic sphere where Khama feels that his impact can be felt without his voice being drowned out by the encumbrances of regional consensus. What real impact or power does a Chairman wield in SADC? The SADC chairmanship is quasi ceremonious as it is straight-jacketed by the Troika system where decisions are taken in concert by the incoming, incumbent and outgoing chairpersons. As such, a new chairman cannot wield much influence. His powers are determined by how influential he is personally, his powers of persuasion as well as the progressive and dynamic manner in which he interprets the SADC Treaty and its protocols. As a result of the limitations that come with the position, Khama’s tenure may only reflect small differences in style and the emphasis he places on certain issues. Despite being a General, he is unlikely to opt for military solutions for regional conflicts as opposed to mediation, which has hitherto been the tool of choice to douse out conflicts by SADC. This is based on the fact that under his term there has been a marked reduction in the deployment of Botswana Defence Force troops to international peace missions rather than an increase as many would’ve expected. There will thus be a continuation of programmes initiated by the former chair, Zimbabwe, as well as a focus on implementing the theme adopted by the 35th Summit of Heads of State and Government where he was sworn in. The theme was “Accelerating Industrialisation of SADC Economies through Transformation of Natural Endowment and improved Human Capital.” A big test for his influence will be his ability to steer SADC into a culture that matches words with deeds, especially where matters of democracy, good governance and respect for human rights are concerned. The new chairman has also inherited a number of challenges such as incomplete post conflict reconstruction and development programmes in Lesotho, DRC and Madagascar. A major feat for Khama would be success in strengthening the capacity of the SADC secretariat, which has also been hamstrung by a lack of political will in its efforts to implement agreements reached at SADC summits. Given his moral clout and international standing, Khama is best suited to mend and improve relations with donors on behalf of SADC, and go further to find alternative and sustainable sources of funding for SADC, preferably from within its member states. Yet another achievement would be to improve relations with regional civil society organizations and increase awareness and knowledge about SADC within its member states. 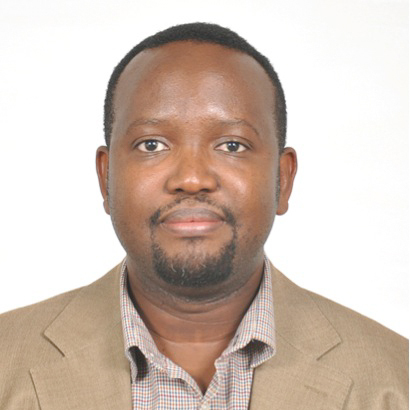 Dr Gabriel Goitsemodimo Gosiame Malebang is a Political Science Lecturer in the Department of Political and Administrative Studies, University of Botswana. Dr Malebang holds a PhD in Peace and Co-Existence from Hiroshima University, Japan, a Masters in Public and Development Management from the University of the Witwatersrand, South Africa and a second Masters degree in Politics and International Relations from the University of Botswana. Dr Malebang’s research interests are in the areas of National Security Policies, Foreign Policy, Regional Cooperation, Conflict Transformation and Infrastructures for Peace (I4P). Dr Malebang was instrumental in the setting up of the Diploma and Masters in Defence and Strategic Studies offered by the UB to the BDF, Defence Command and Staff College. He has taught and continues to teach the following courses; Civil Military Relations ( 2009, 2014 & 2015), International Peace Keeping (2010), Introduction to Strategic Studies (2008-10 & 2014-15), Security Studies (2015), Security Sector Governance (2015), Introduction to Foreign Policy and Diplomacy (2008 – 2010), Understanding the State (2008-10), Formulating National Security Policies and Strategies (2008-10).